T-Fal EZ Clean FR8000 helps you to make restaurant-quality fried food at home with minimal oil absorption for healthier results. 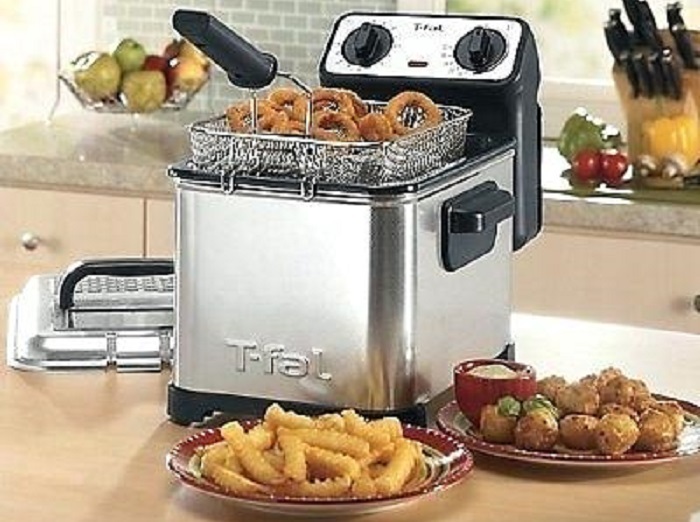 In our list of Top 5 Best Deep Fryers, it ranked at #1. T-Fal EZ Clean FR8000 is made of brushed stainless steel a robust and sturdy material. The two markers at the side of the interior oil bowl allow you to see the oil level while at the top a clear window lets you see how your food frying is progressing. To locks and unlocks the oil pan the control knob is located at the front side. It also opens the filter so that you can drain the oil. You'll find a control unit with a thermostat dial at the back of the case so you can adjust the temperature. 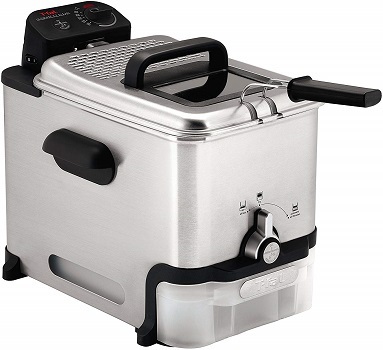 This deep fryer holds 2.65 pounds of food capacity, large enough to feed a family or small gathering. For safety, it comes with a cool touch handle. T-Fal EZ Clean FR8000 is ready to use right out of the box. You only have to insert the frying basket, plugged in the power cord, and oil to get started. The automated system drains the oil from the fryer pot after each use. The filtration system removes debris and large food particles as it strains the oil into a separate oil storage tank. 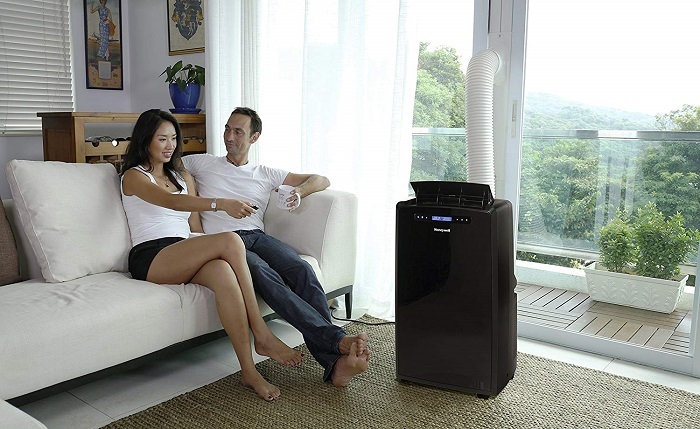 The oil-filtration system saves the oil, and therefore your money, too. • The filtration process is a bit slow. 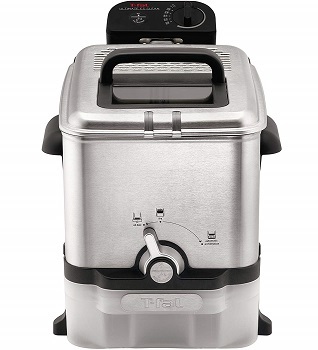 T-Fal EZ Clean FR8000 provides good results for a range of different deep frying recipes. 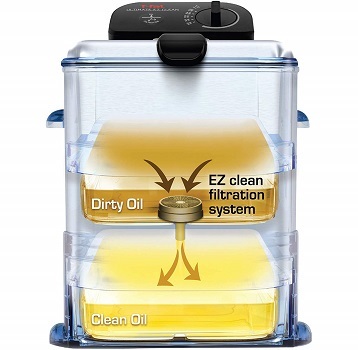 It`s very easy to clean, care, and help you to conserve oil.